Scott and I recently got the chance to take a much-anticipated drive around the south of Sweden to explore its natural and archaeological wonders. 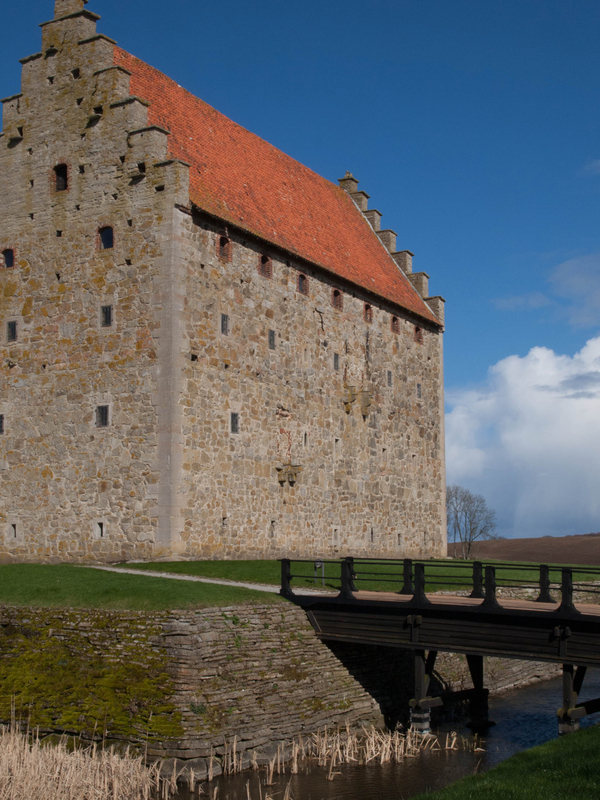 As much as I love traveling on foot and by train most of the time, it was a welcome treat to rent a vehicle and see the more remote parts of Skåne County. 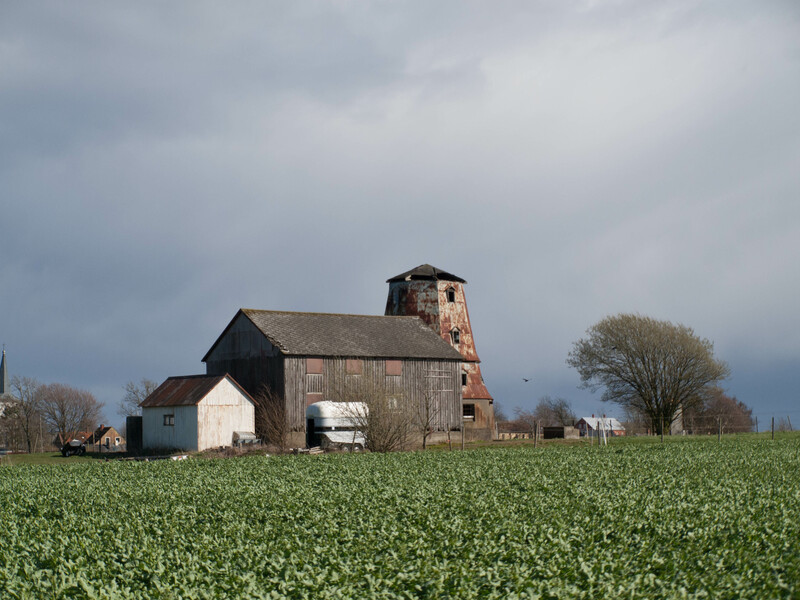 No amount of research or anticipation could have prepared me for the stark and eerie beauty of the countryside. 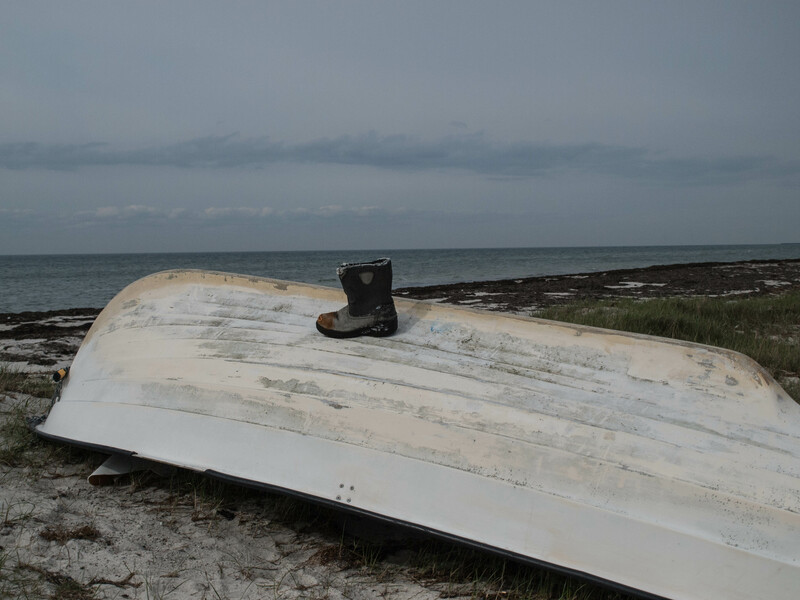 The guidebooks and travel blogs accurately describe miles of sandy coastline and remarkable Bronze Age artifacts; what they fail to capture is Skåne’s bewitching and moving loneliness. 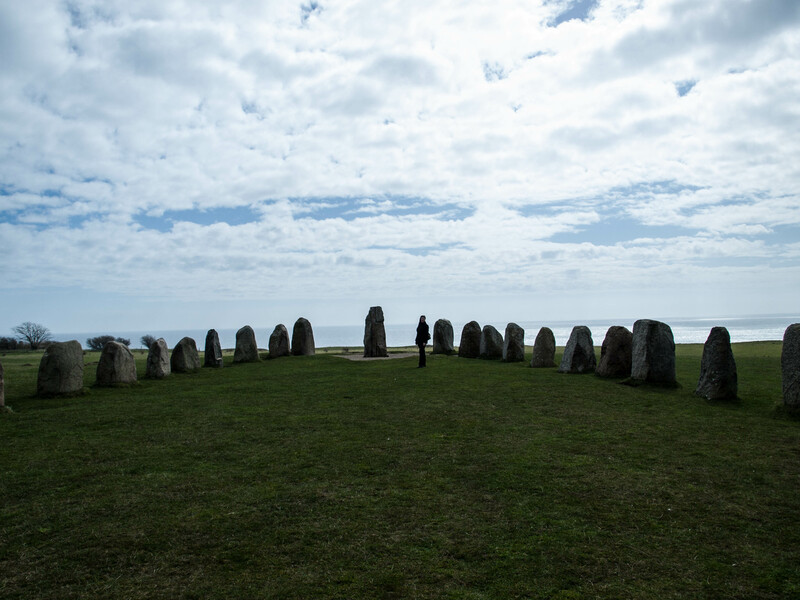 The most incredible sight was Ales Stenar, Sweden’s own mini-Stonehenge, which sits on a grassy plateau that plunges sharply into the sea. It’s the largest of the Baltic region’s 3,000 year old stone ships, and standing on the ancient ritual site is a beautiful and unsettling experience. 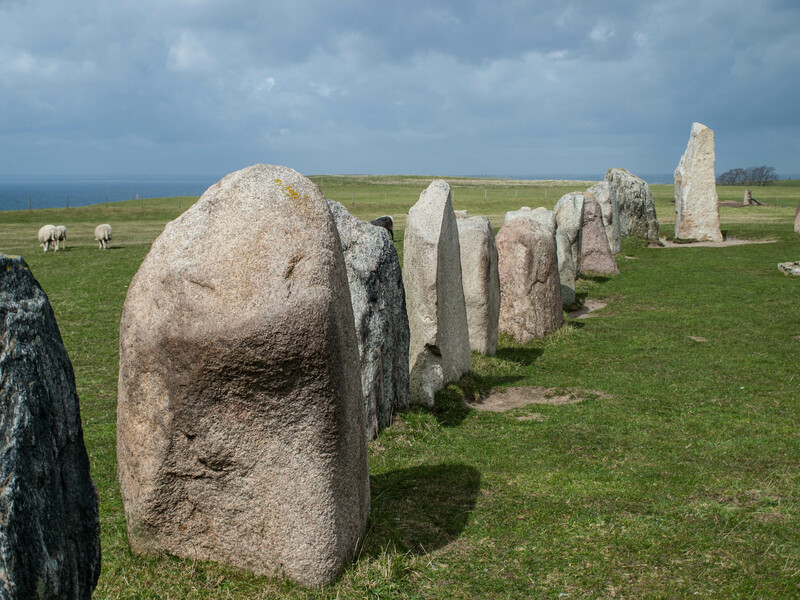 At 200 feet long, Ales Stenar is smaller by far than Britain’s far better-known megaliths, but it has other important differences that make it stand out. 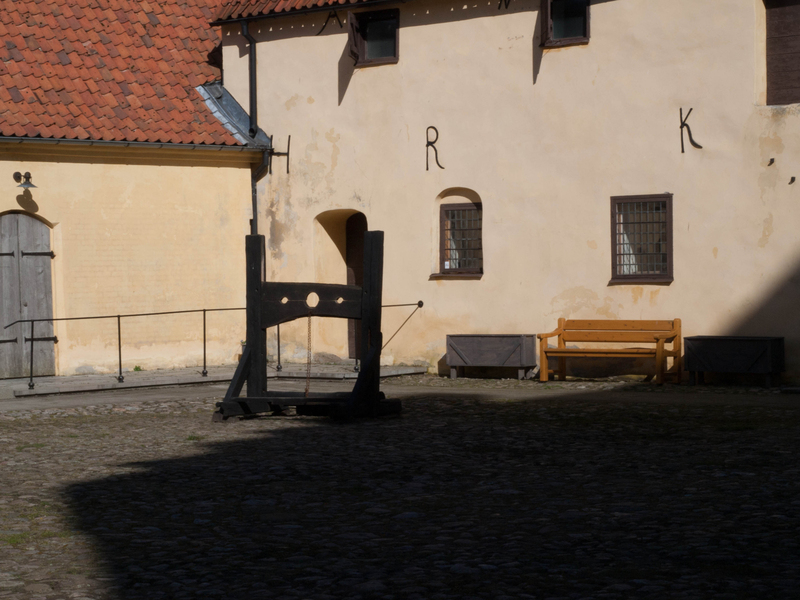 For one thing, it’s completely open: no ropes, no fences, and none of the usual signifiers of a much-visited tourist site. Another thing that amazed me was that Scott and I were the only people there for much of our visit. The only other witnesses to the majesty and mystery of the site were a few sheep who pretty much ignored us in favor of the far more interesting grass. Almost as dramatic as the stone ship were the adjacent cliffs and their sheer drop into the sea below. If you look closely, you’ll see a little white house that gives a sense of how high these cliffs climb from the shore. 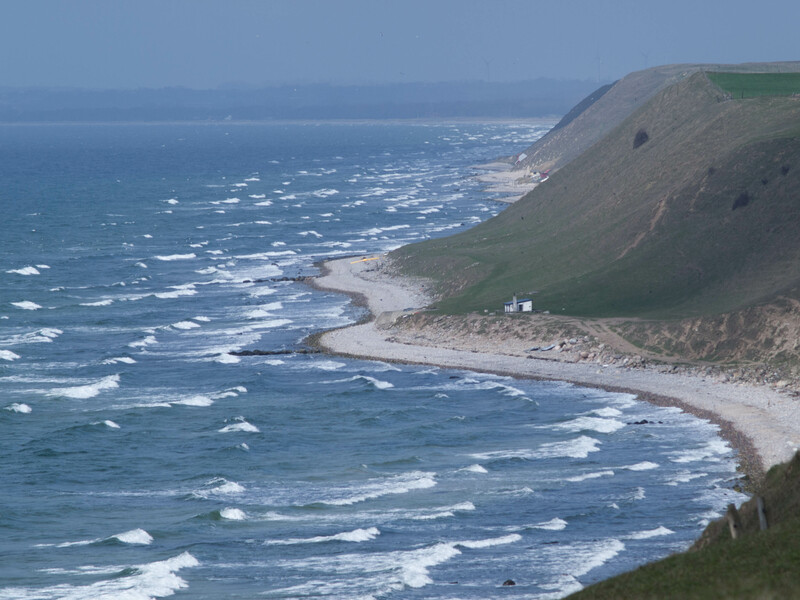 Ales Stenar was only the first of a seemingly endless stretch of wild and windy beaches that line the medieval town of Ystad. 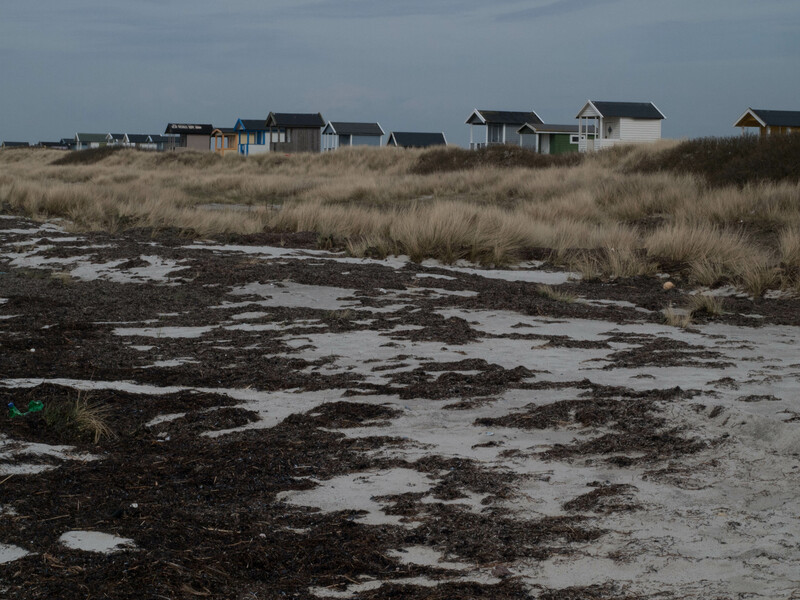 As we traveled west toward Falsterbo, cliffs and rocks gave way to grassy, sandy strands blanketed with ink-black seaweed. 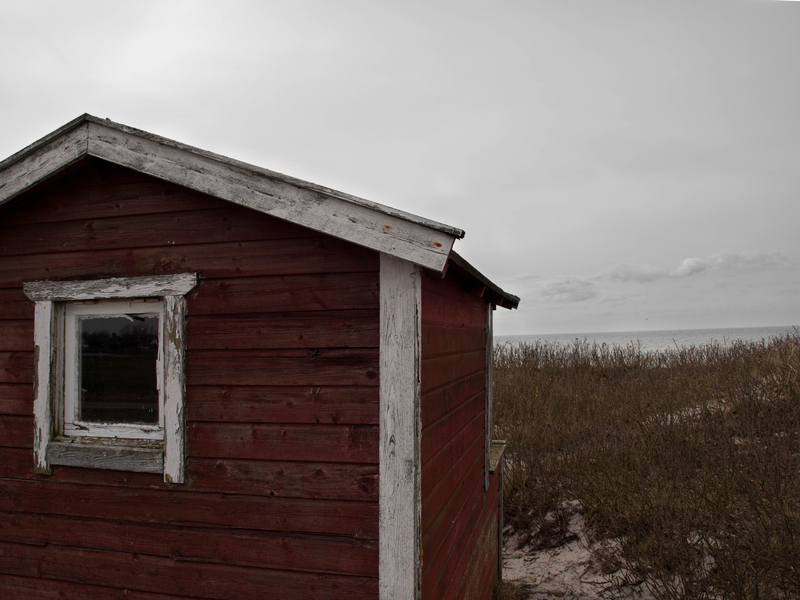 Salt-worn beach huts, left empty for the winter, added to the strange solitude of the place. 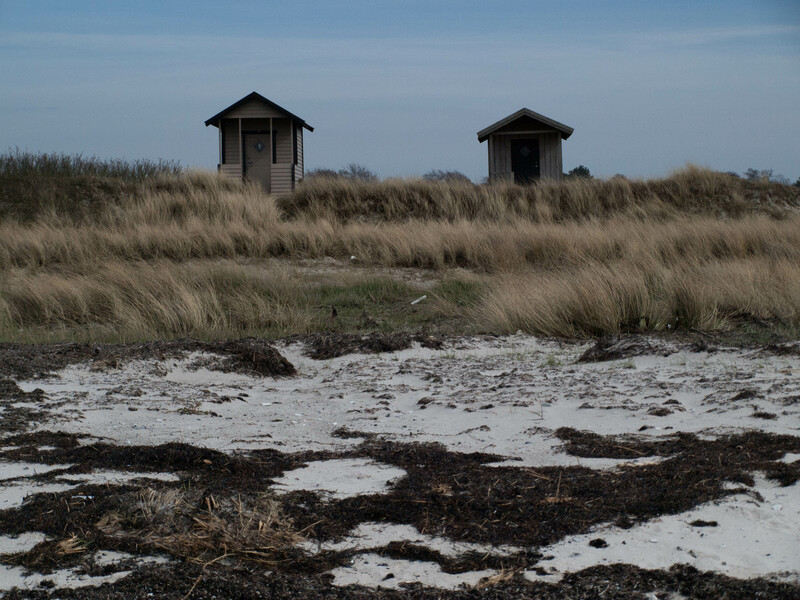 Part of the reason I was left with such an impression of loneliness was that we saw far more birds than people on our travels in Skåne. Birds were everywhere. We saw swans, geese, eagles so enormous I mistook them for airplanes in flight, and endless flocks of crows. As a Vancouverite, I know from crows. I’ve seen the skies of the East Van crowpath black with swarms of Hitchcockian proportions. What I’ve never seen is the nesting behavior I observed all along the south coast. 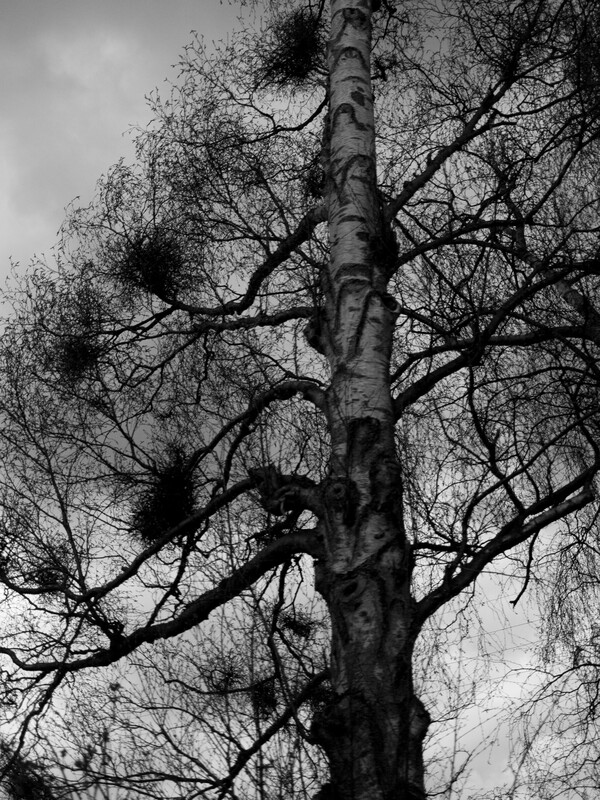 Swedish crows choose a nesting tree in the birches and elms that line the farmers’ fields across the county. 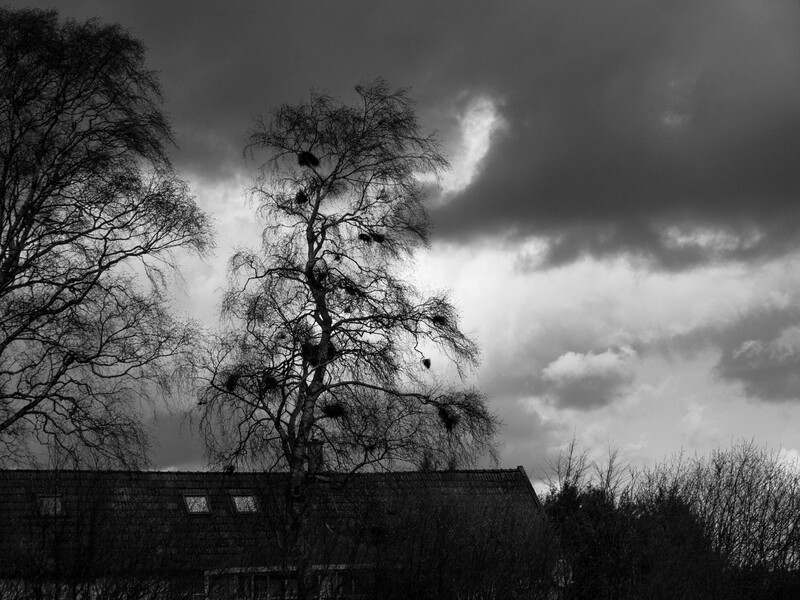 And when I say they choose a tree, I mean all the crows in the neighborhood pick one tree and fill it with nests, leaving the surrounding trees empty. The effect is striking and spooky. …and castle yards that inspire shivers even on sunny days. In other words, it’s terrific fun for those who appreciate a dash of gothic gloom to go with their travels. To these kindred spirits, I highly recommend Sweden as a place in which to journey into the dark fairy tales of imagination. Just keep a light on when you get back to your hotel room and lay down to sleep. You know, just in case you need to find your way in the middle of the night. 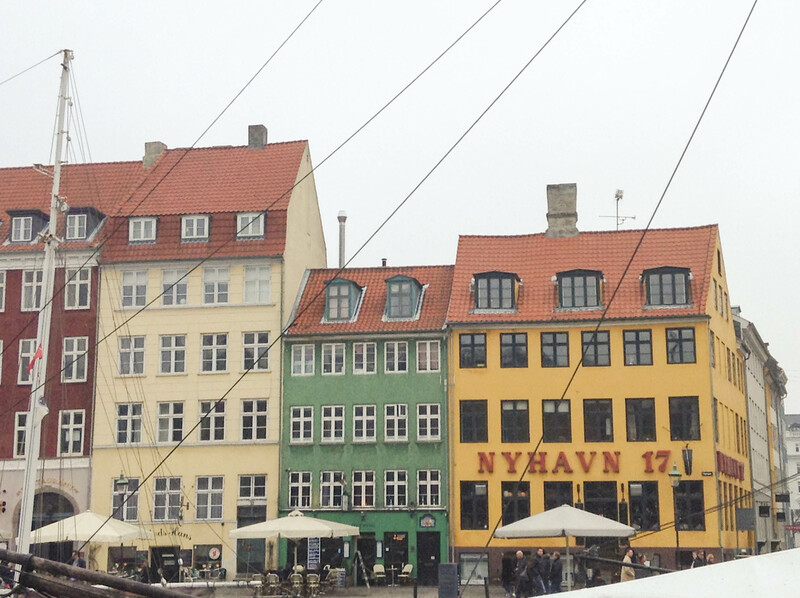 Long before my first visit to Copenhagen, my mother traveled there to accompany my sister on an audition. Mom was delighted to report that the Øresund area had a thriving food culture and that the breakfast pastries in Denmark were some of the best she’d ever tasted. “They’re hard to describe,” she said. “There was fruit filling, and the pastry was light, but not overly crispy. It was almost like a… danish!” There was a pause, then everyone (including Mom) burst out laughing at the silliness of this minor eureka moment. It makes perfect sense that the pastries in question would be called danishes. They are to Danes what croissants are to the French, and they can be found in every bakery and cold breakfast spread in Copenhagen. 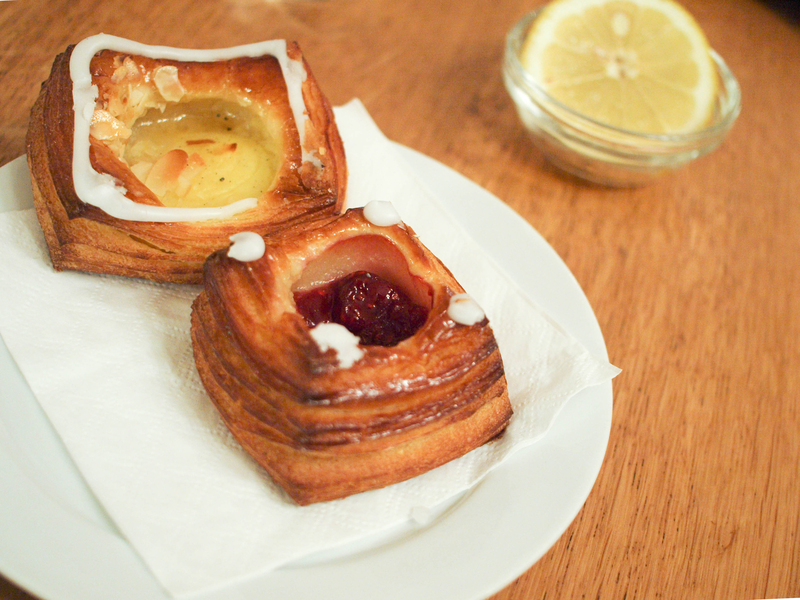 Oddly enough, despite their popularity, Denmark hesitates to claim these pastries as their own. The Danish call it wienerbrød, which translates as “bread of Vienna”, because locals credit Austria with the invention of this breakfast staple . Meanwhile, Austrians return the volley by referring to these pastries as Kopenhagener Plunder or Dänischer Plunder. Figuring that a danish by any other name probably tastes just as sweet, Scott and I headed to Andersen Bakery to try them for ourselves. One of Copenhagen’s top bakeries, Andersen is named for the city’s native son, Hans Christian Andersen, and its history is almost a fairy tale in itself. Once upon a time, a Japanese baker named Shunsuke Takaki visited Copenhagen and fell in love with the beautiful Danish pastries. He was so taken by their loveliness that when he returned to his home in the faraway land of Japan, he opened his own Danish bakery in Hiroshima. As the years passed he opened more Andersen Bakery locations, and soon the land was filled with the magical aroma of fresh bread. He ruled over these bakeries wisely, but his heart always yearned for the country where he was first inspired. Years later, Takaki’s son and daughter fulfilled their father’s dream and opened three Andersen bakeries in Copenhagen, followed by another in San Francisco. The story ends, as every fairy tale should, with much rejoicing. Takaki’s dream is manifest in a gleaming bakery with long rows of golden and jewel-colored delights, and just one bite of Andersen’s fabled danish was enough to make me feel like I could live happily ever after. The wienerbrød’s base was an unusually tender puff pastry that had all the flaky, airy qualities you’d expect on top of an almost strudel-like chewiness. The icing was just the way I like it: not overly sweet, but perfectly set without a trace of hardness. Of the two danishes we ordered, the raspberry one was filled with an intensely flavorful seedless jam that was well balanced in sweetness and acidity. The vanilla cream version was equally impressive with generous flecks of raw vanilla bean sprinkled throughout its velvety custard filling. Almost as enticing as its pastry selection was Andersen’s array of warm beverages. I ordered hyldeblomst saft, which the menu board helpfully translated as “elderflower water”. Unlike in Canada, where you only find elderberry in cocktails and Monty Python and the Holy Grail, this wild woodland blossom is a staple of the Scandinavian flavor profile. My drink was served warm with lemon, and while its flavor was certainly floral, it was more like chamomile flower than rose or jasmine. 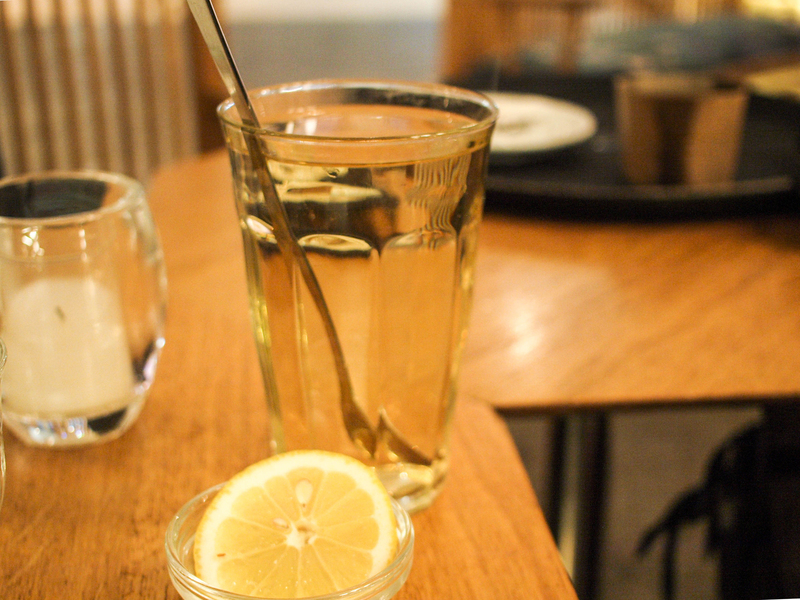 After the vivid and balanced flavors of the pastries, the elderflower water was shockingly sweet, which made me wonder why it was served with a spoon. It certainly didn’t need any added sugar, and the floral notes would not have stood up to milk. Nevertheless, the spoon was there, and having nowhere else to put it, I left it in the glass where it made breakfast interesting by poking me in the eye a few times. If you’re in Copenhagen, I’d definitely recommend stopping in at Andersen Bakery for breakfast. 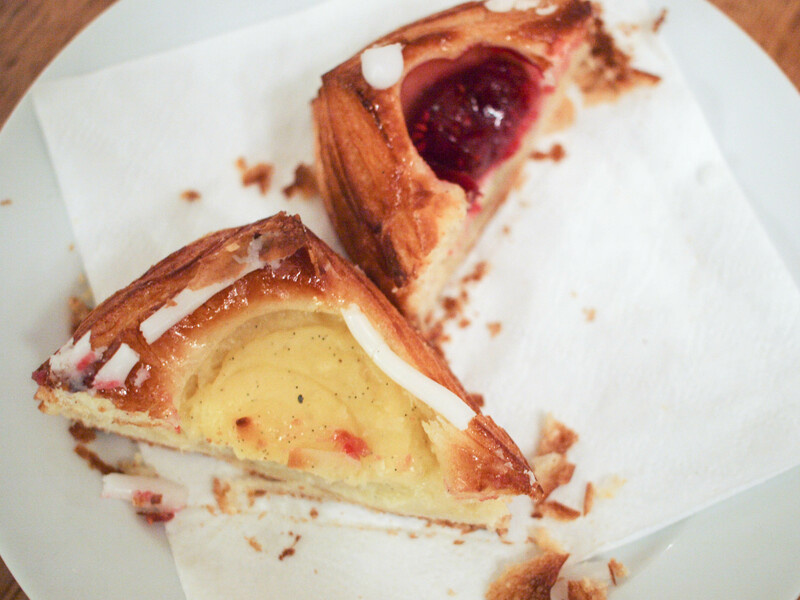 The danishes are unquestionably delicious, and if you have a sweet tooth, give the hyldeblomst saft a chance. Despite its sweetness, it really is very good; so much so that next time someone tells me my father smells of elderberry, I will take it as a compliment. It’s a funny time of year when the weather can’t seem to make up its mind whether it’s the end of winter or the beginning of spring. The first brave little flowers and buds appear only to bend their heads to rain, cold and wind. 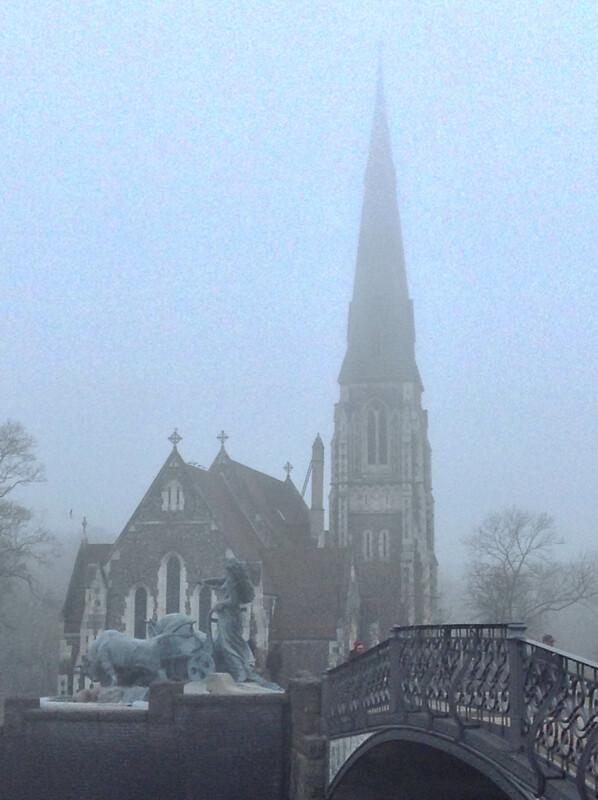 Fortunately, with these grey days comes one of my favorite things: fog. 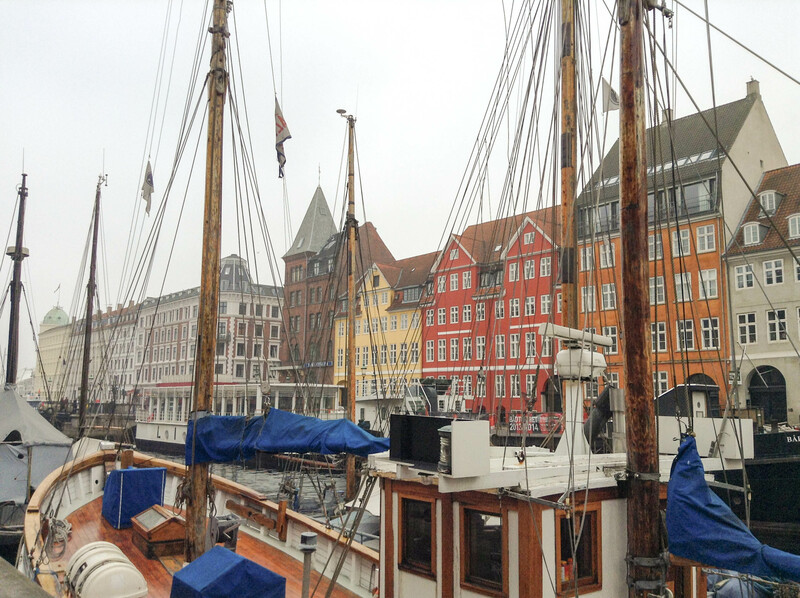 Scott and I recently spent a few days in Copenhagen where the white, heavy mist made the city seem like a gorgeous, eerie dream. The weird effect that fog has on sound only reinforced this impression: close-by noises were dampened so that they seemed very far away, while distant sounds were strangely amplified. The tapping of my boot heels on cobblestones and the soft, solemn lapping of water on the ancient seawall were swallowed whole in the haze, while ships’ bells clanging and rigging clanking out in the harbor sounded close enough to touch. It was like walking in a Hans Christian Andersen version of Silent Hill. In other words: fantastic. As much as I love a foggy day, and despite having a Vancouverite’s tolerance for gloom, I was apprehensive about the prospect of all-day darkness when we first arrived in Sweden. I’ve been pleasantly surprised to find that some of the loveliest Scandinavian customs are inspired by the sunless days I’d so dreaded. Candles burn day and night in restaurants and hotel lobbies. Lanterns flicker outside the doors of shops and houses, while windows twinkle with lights all through the evening. In Copenhagen in particular, there are lanterns and lamps almost everywhere you look. Other ways to rage against the dying of the light include painting buildings in cheerful egg tempera-like colors. Or, if it’s the cold that bothers you most, you can drape yourself in fur from head to toe. 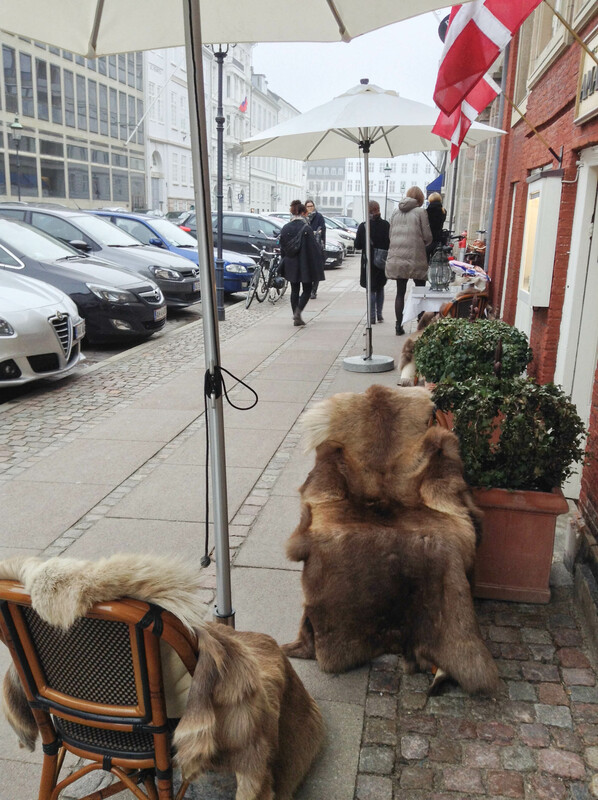 Copenhagen is well known for its fur, and there are animal hide coats, hats, capes, and blankets absolutely everywhere. One morning, I saw Cruella DeVille brought to life in a full-length black-spotted white rabbit-fur coat, sporting a perfect platinum bob, red lipstick and deep frown lines. Though fur really isn’t my thing, I can see how it would be a good defense against the insidious, wet cold of a coastal Danish winter. How else could you enjoy a Carlsberg on the patio in March? Far lovelier to me than the ubiquitous pelts were the nautical and military influences that dominate Copenhagen’s art and architecture. 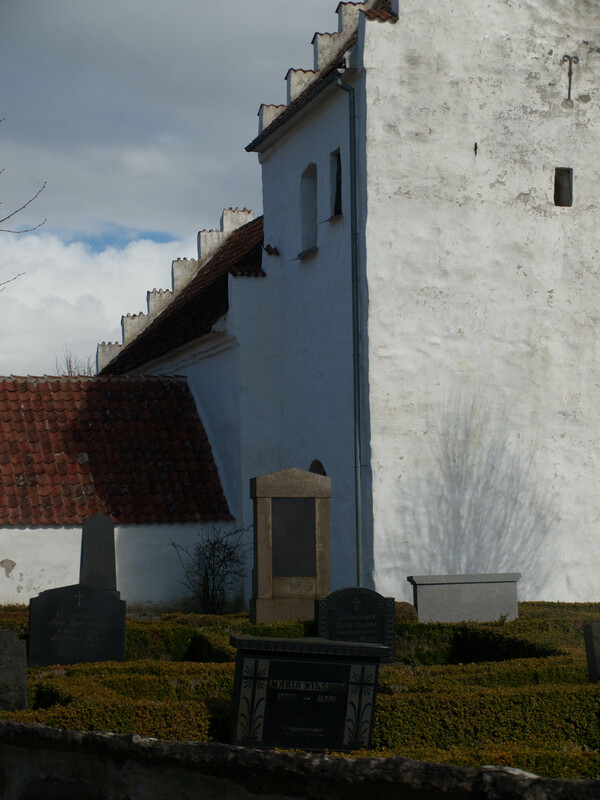 The old city is heavily fortified with stone and earthworks, and even its churches have sailing ships and cannons carved in bas-relief into their walls. This makes sense when you consider that the city has spent nine hundred years alternately trading with and being attacked by its neighbors. The hotel was, of course, not a converted ship. 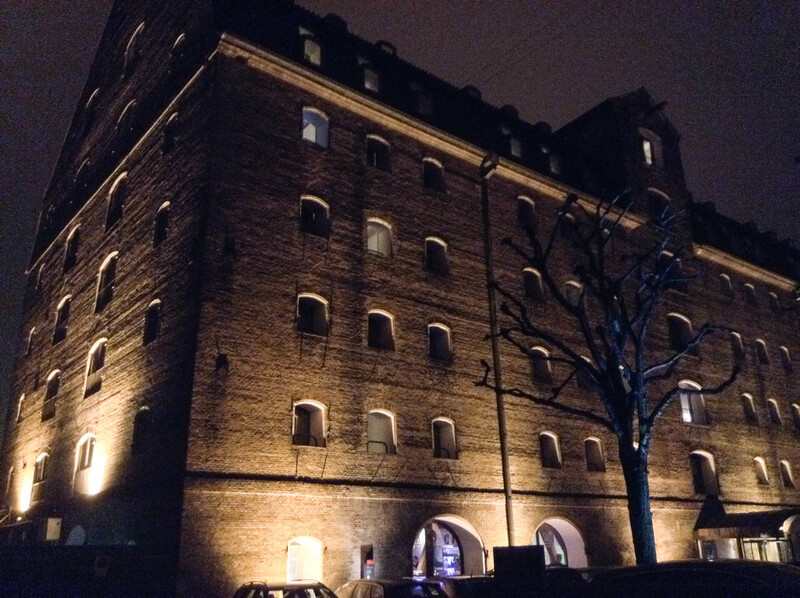 Rather, it started life in the 18th century as a warehouse on the harbor, which gave it a front row seat to a string of British attacks during the Napoleonic Wars. It’s amazing to me that despite centuries of friendly and unfriendly exchange with all of Northern Europe, Copenhagen’s culture remains so distinctly its own. For all its bitterly cold weather, the friendly people and places make it one of the warmest cities I’ve had the pleasure of visiting. 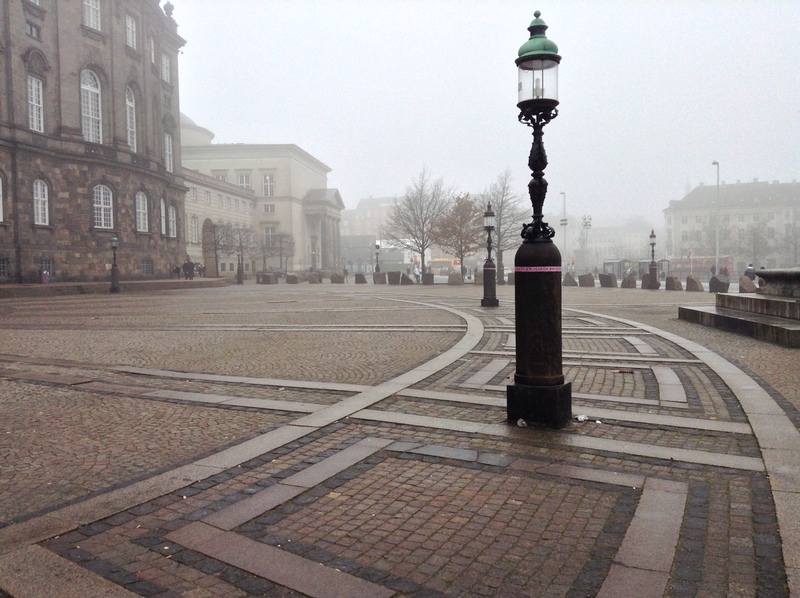 I’m glad I got the opportunity to see Copenhagen beneath its beautiful wet blanket of fog. As we head into spring, I’ll no doubt be back to explore the vintage fairgrounds at Tivoli, or to partake in the local custom of finding a perfect seaside bench for brownbagging it on a warm night. Meanwhile, I’ll just have to make like those early flowers and turn up my collar to the wind, knowing that the sun will return soon. 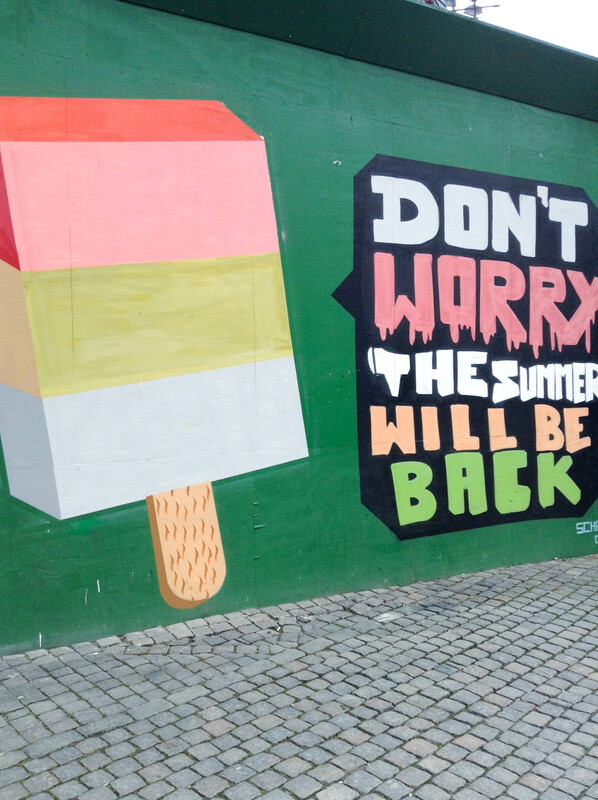 Copenhagen’s graffiti says it, and I believe it.